I can't even count the number of hours I've logged on different consoles since I was a kid... it's in the thousands for sure. From my early years saving the princess and beating Ganon to getting headshots and fragging noobs, as I've grown up, so have the technologies that power the video game experience. With the changes in technology have come richer visual experiences. Starting with only a few dozen colors in the first systems to millions of colors in our current ones. We're at the end of one generation now... What awesome new ways to play are coming next? Our current generation of video game consoles (xbox 360, Wii, PlayStation 3) is the 7th generation, with the first starting in the 1970s. A lot can happen in several generations! If you think about generations in human terms (in the US it's around 25 years) then video games have been around since the early 1800s... and way back then we were just getting some technologies like the automated printing press, the first photo and first telegraph. In a way those early technologies helped us end up with the visual, connected video games we have today. Let's take a look at the colorful history of video games... ↑ ↑ ↓ ↓ ← → ← → B A select start! What was your favorite video game? Remember what the color palette was like? Show us. 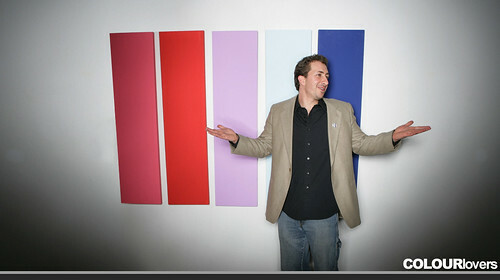 The Most Colorful & Inspiring Creative Videos from a collection of the most popualr videos on vimeo.com. 12 videos. 30 minutes of fun, playful, creative & very colorful! Since the first comic was printed in 1933, many colorful stories have been told... and don't let the name distract you, not all of them are funny. Comics have had moving, adventurous, dark & serious stories that have entertained young and old for almost a century. The comic industry might be changing, but business is still huge... Comic-Con 2010 was attended by 130,00 people! And the surge of comics-to-blockbuster movie trend thats been happening the past decade is making sure the world of comics continues to be a big part of our modern pop culture. Who Is Your Favorite Colorful Comic Book Character? Good, bad... primary, secondary... Who's your favorite character and what colors are they? Do their colors stay true to some of the "rules" above? We've known developer/designer Sahil Lavingia for a while now and have continued to be impressed with the apps and services he puts out. One app in particular we've had our eye on is his color app Color Stream, an iPhone app that helps create & save color palettes... Something near and dear to our hearts. So when the opportunity came along to acquire the app and provide continued color inspiration to the tens of thousands of Color Stream users, we jumped at the chance. 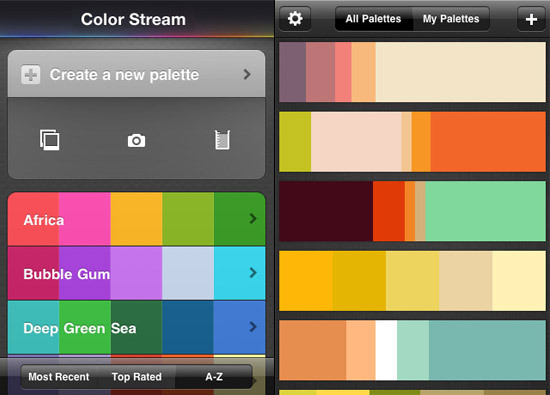 And one of the reasons we made our iPhone app free is so all Color Stream users could switch over to our ColorSchemer app without having to re-buy anything. They'll be joining the nearly 100,000 users of the ColorSchemer app and can continue to get the updates for our top color app at no extra cost. If you're a Color Stream user, now's a great time to join the family and get the free ColorSchemer app to continue to receive updates with the latest and greatest features and integration with the COLOURlovers community. The Color Stream app was a well-designed and built app that worked great for creating palettes from scratch, or from a photo... but the biggest thing it was missing was an awesome community of creative people to share those palettes with, and now that's changing! We're excited to extend our community to more and more creative people and we look forward to even more inspirations that this growing and diverse mix of new users will create. Download ColorSchemer for iPhone Now. 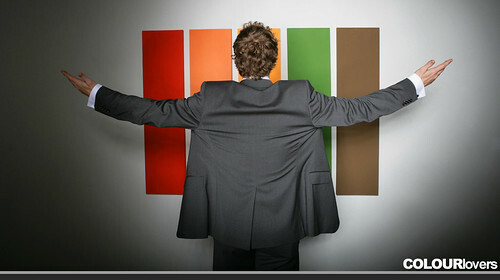 Our New Rights Management System... All the Colors Belong to You! Recently we took the time and the budget to update the terms to appropriate language clearly stating that you own everything you create here... but that you give us a commercial license to also use your content (without this we couldn't run the site or showcase your work in things like the Color Inspirations book). BUT... Updating the terms weren't enough, as we want to fully hand over control of your content to you. Today we're launching two new features that hand the rest of the control of content here at COLOURlovers to you, our awesome and creative members. Can I use this pattern as the background for my blog? Is it free to use this? I don't understand the license you provide for the content on COLOURlovers... We get questions like this all the time. And although we've had a Creative Commons license on the bottom of every page... It hasn't been very clear what people can or can't do with the content shared on COLOURlovers. So we've added a new section in the right column of each creation page to clearly show the license for that content. There are icons and bullet-points to explain what is allowed with each specific license, as well as a link to the Creative Commons site to learn more about the license terms. To change the license for a specific color/palette/pattern/etc. you can click the "Edit" link above the license box in the right column. A window will open and allow you to change the license for that specific creation. 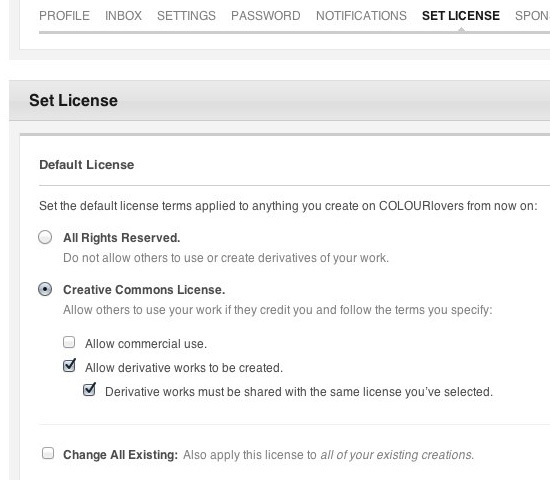 You can change your default license for all future creations in your account settings area (Set Default License). You can also update the license for all your existing content on this page. There is a checkbox at the bottom of the form to "Change All Existing" which will do a big bulk update for all your creations... ie, would you like to allow commercial usage of all of your existing content? You can do that here. There are a few different ways you can specify what people can and can't do with the content you share here on COLOURlovers. Nobody can use your creation without first getting your permission. This is the most protective license option. Ie, Selecting this license on a pattern template you've designed means that nobody else can color the template in. The license area for a creation with this license will link people to a page to send you a love-note to ask for permission to use the content. The Creative Commons is a non-profit that aims to "give everyone from individual creators to large companies and institutions a simple, standardized way to keep their copyright while allowing certain uses of their work — a “some rights reserved” approach to copyright — which makes their creative, educational, and scientific content instantly more compatible with the full potential of the internet." All creative commons license options include "By Attribution"... meaning people can use it as long as they credit you for the original creation. Selecting this license option will allow other people to use your creation in work that they sell or market commercial services with. It could be an Etsy seller using a pattern as part of a gift wrap paper package they sell, or a real estate agent using your pattern as the background of their website. Allow derivative works to be created. Selecting this license will allow users to remix & modify your original creation. For example, if you have created a pattern template that you would like others to be able to color in... it needs to be licensed with a derivative license. Derivative works must be shared with the same license you’ve selected. 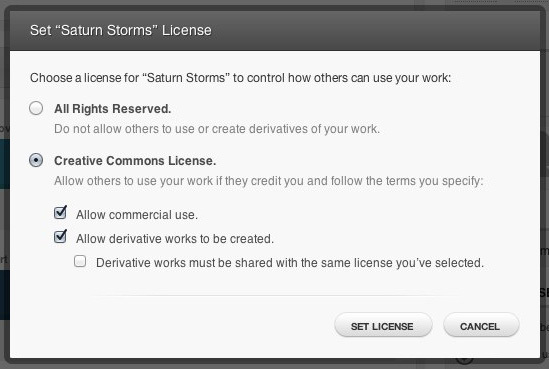 Selecting this option will require all derivative works to be shared with the same license as the original creation. If this option is set for a pattern template, there is no option to change the license terms of colored-in patterns. They must retain the original pattern template license. 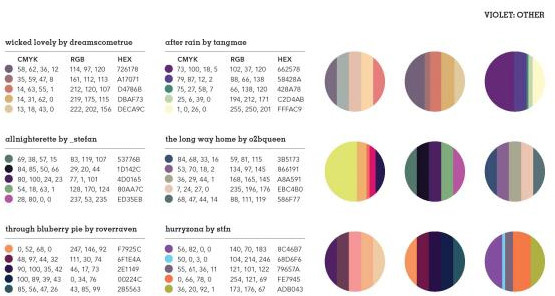 It's easier to understand these licenses in the context of pattern templates, but it's a little trickier when talking about named colors & palettes. Technically you can't own the rights to a color (despite some large corporations trying to copyright their specific branding colors). All 16 million colors already exist, we're just allowing you all to come up with clever names to associate with those colors. For now, all color names on COLOURlovers will continue to have our default (CC BY-NC-SA 3.0) license. You also can't technically own the rights to the usage of certain colors together... ie, if you make a palette with Red, White & Blue... you can't prevent the US from printing more flags. What you can own the rights to is the combination of the colors in a specific order, and or the amount of colors presented as a 5 color palette like the way we do here on COLOURlovers. Ie, if you select an All Rights Reserved license for your palette: Somebody else can't present your palette anywhere else the way it is presented here on COLOURlovers. Even with an All Rights Reserved license though, they could still use that color combination to draw an illustration or design a logo. We'll be adding a section to the site to explain the licenses better moving forward, so if you have any questions or think we should better explain something, please let us know. If you really own all your creations, then you should be able to remove them from COLOURlovers too... and now you can. There is a new OPTIONS button in the About header for all creations. You're able to Edit & Delete your creations from here. Colors. When you delete a color it will remove the color from your creations list, it will clear out the name, description, loves, faves, comments and all other associated information. The color will now be available for another member to name and list as one of their creations. A deleted color will still show in any palette or pattern, but will no longer have a name and will simply display the HEX value. Palettes. 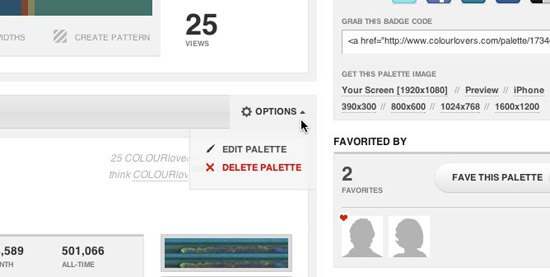 When you delete a palette it will remove the palette from your creations list, it will clear out the name, description, loves, faves, comments and all other associated information. Patterns. When you delete a pattern it will remove the pattern from your creations list, it will clear out the name, description, loves, faves, comments and all other associated information. Templates. When you delete a pattern template it will remove the template from your creations list, it will clear out the name, description, loves, faves, comments and all other associated information. Any patterns colored in by other members will still exist on the site even after you delete the template, but no new version will be allowed to be created with the template. Deleted content might still show up in search results in COLOURlovers for a brief time until our database runs it's regular updates to clear it out. Badges for your deleted creations will still exist, but the badge will be updated to show that the content has been removed, and the page for the creation will show that the creation has gone missing. OMG RGB/CMYK NYC! We're very excited to be partnering with Print, Pantone & the Art Directors Club on the brand new Color Conference, Oct. 4-6 in NYC. Yours truly will be co-emceeing the conference with Jude Stewart. The rules for color aren't black and white. We each experience the world uniquely and that creates an awesome opportunity for each of us to share our own perspective with others. 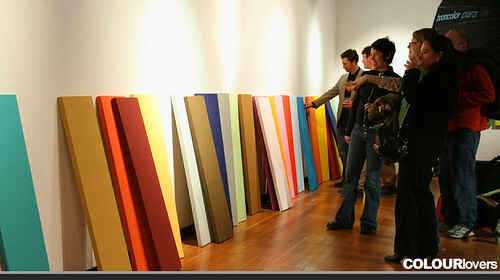 We're really excited about being together with so many creative folks to share the color love. This event isn't just hearing about the color work of top industry professionals... but also interacting with color, networking with other colorful folks and sharing your ideas about color in workshops and panels. NEW YORK – August 22, 2011 – Print Magazine today announced the first-ever Print Color Conference, taking place October 4-6, in New York City. Presented in partnership with Pantone and COLOURlovers, and hosted by The Art Directors Club, the event is an exploration of color by leaders in the graphic design, art, fashion, lighting, and interior design industries. The focus of Print’s Color Conference is to illuminate and elevate the discussion of color; its usefulness and impact on society, its importance as a communication tool; and its impact on the worlds of art, design, politics, branding, and everyday lives. Full program details – including speakers, interactive demos, and networking opportunities – and conference registration is available now at printcolorconference.com. Gael Towey, Chief Creative and Editorial Director at Martha Stewart. ...And More! full speaker list here. Colorful Conversations... A Panel You Can Help Lead! 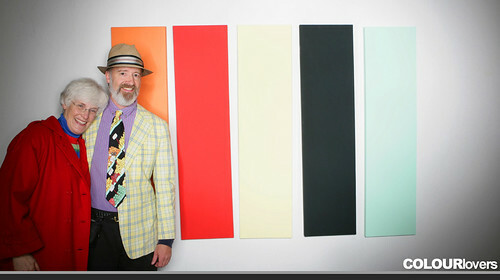 I'll be helping to moderate some panels with the world's most talented color professionals... What do you think should be part of our colorful conversation? What questions do you think I should ask them? What's the most exciting, frustrating thing about color for you? ...? I'll give you a shout-out when I ask any questions you suggest. We look forward to coloring with you in NYC! And don't forget to use the COLOURlovers Promo Code "LOVE" for $75 OFF! 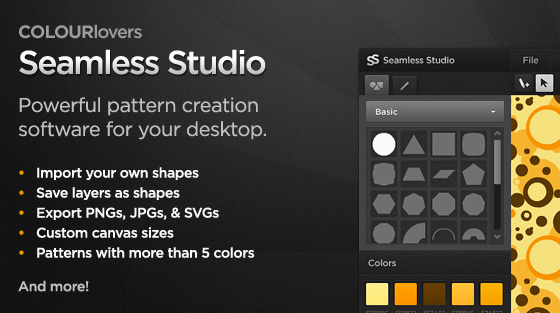 Seamless Studio for Mac/PC ~ Pattern Power! What we love more than anything is helping people share their ideas & inspirations. A couple years ago we added the ability for members to color in 100 preset pattern templates and we saw your creativity flourish, but we also saw an even greater opportunity... To give you all the power to design your own pattern templates! And without being able to save your work, import your own custom shapes, work only in grayscale... and with only our simple web version of Seamless, in the past 12 months our awesome members created more than 80,000 original seamless patterns. So it's with great excitement for the amazing creations that will be shared that we release the more powerful desktop version of Seamless Studio! And as a special thank you to all our supportive members here at COLOURlovers, we're giving you a $20 discount on the regular price of $49, just for being a member. Thanks for Sharing the Love! Open SVGs from other editors to use in your patterns. Save your pattern as a SVG, PNG, or JPG image. Organize and rearrange shapes simply. Create projects and come back to them later. Upload your patterns straight to COLOURlovers.com. Create wavy, sawtooth, straight, dashed, and dotted lines. Export SVGs that scale beautifully to any resolution. Start Sharing Your Patterns with the World! Not only can you publish your patterns right to COLOURlovers.com from the app, you can also export your patterns as high res files to use in your own creative projects. Upload them to Spoonflower to get custom fabric! Print them out and sell them as part of a craft pack on Etsy! 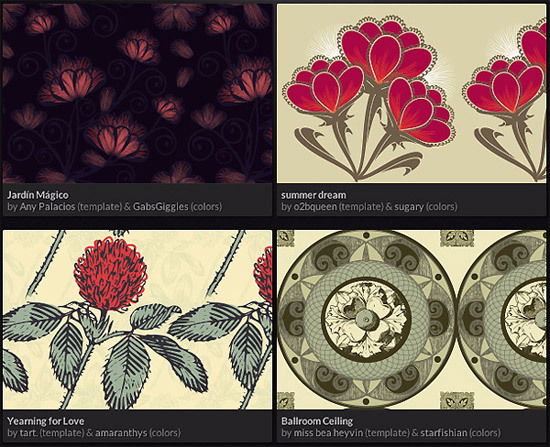 Turn a pattern into beautiful wall art with Imagekind! ...Woohoo! Very exciting! 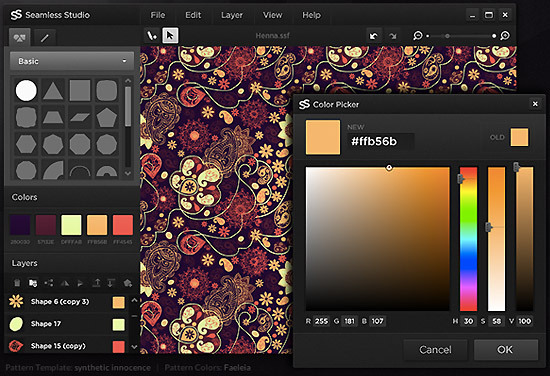 - We've been working hard on a much-improved desktop version of the Seamless pattern-maker called Seamless Studio. Sponsored members of the community have been helping us test the beta and now we're opening up the beta to everybody else! We'd love your thoughts and feedback on the new app. Get On The Seamless Notification List: Be the first to know when the full version launches! With how talented our members are, it’s hard to know when they used their amazing talents to create a custom shape.. or when they imported a vector shape from another source. It’s ok to import shapes from other creators when you have the appropriate permissions to do so. Please do not upload pattern templates that include imported shapes / images that are copyrighted. If you use shapes that are licensed with a creative common license, please link the source in the description. Unattributed pattern templates that include copyrighted content will be removed. 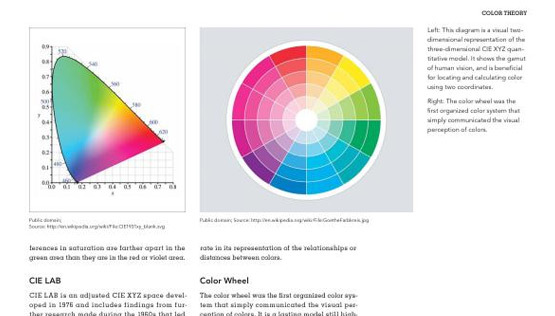 Ever since the first palettes were shared on COLOURlovers I've wanted to see their awesomeness in print... And a few years ago I got in contact with the fine folks at HOW books who also wanted to help make it happen. We're stoked and honored to be able to share 3,000 amazing color palettes from our community in a printed book with readers in real life. 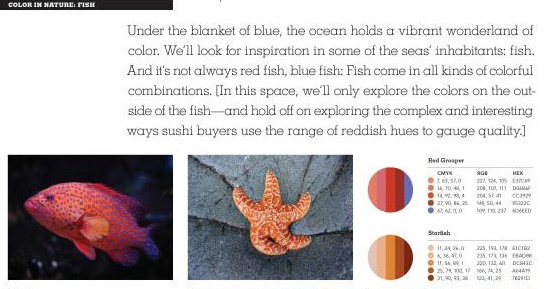 Color Inspirations is on Pre-order at Amazon. Check it out! 3,000 palettes to be exact have been selected and organized by hue into a printed inspiration gallery. 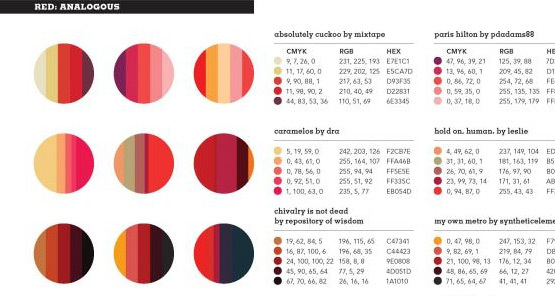 Each palette proudly displaying its name as well as the name of the member who created it and the HEX, RGB & CMYK values for the colors in the palette. 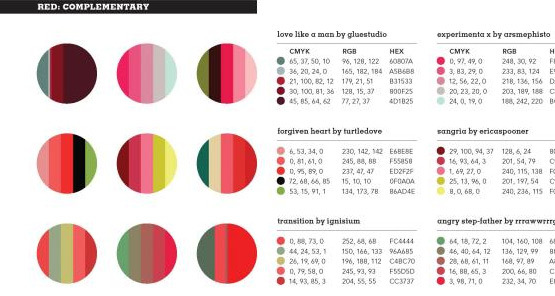 The index of the book has each palette name, creator and a link to its page here on COLOURlovers... so new offline lovers can connect to the community online. 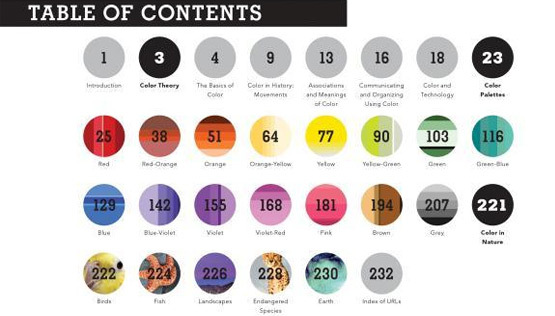 Along with the 3,000 color palettes there are 10 inspirational and informational color articles. Thanks to Dave, our long time blog writer, for help putting it all together! A Who's Who of Awesome Palette Makers! Before we had a chance to announce the book, some members found it and posted some concerns about how we sourced the palettes. Members were also surprised it had never been mentioned... Our bad. We should have done a better job keeping you all informed. As for rights, no worries. You still own the rights to all the creations you share here on COLOURlovers, but you also extend us the right to share your work commercially, like here on this website and in promotional projects like this book. The COLOURlovers Family is Getting Bigger... Awesome Investors & We're Hiring! Six years ago in my grandmother's loft, I built out a little idea I had... to let people name & share colors and for others to rate and review those colors. 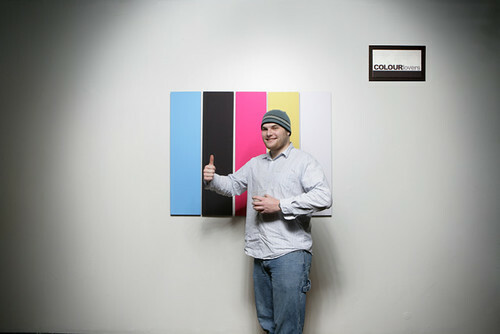 That little idea quickly evolved into 5 color palettes and the beginning of the COLOURlovers community. Since then millions of colors have been named, more than 1.5 million palettes have been created and we're 500,000+ members strong... and a 5x Webby Nominee for Best Community! Twelve months later Chris aka Pureform started rewriting all my code for COLOURlovers (I won't say it was poorly written before... but he probably would) and making it a much more scalable and feature rich site. And now all of the awesome things that keep this community creating and sharing have been built with his fingers. And a little more than a year ago I sat down with a friend in the color world, Aaron of ColorSchemer, and we decided that it made a lot of sense for us to merge our projects and work on things full time. It is in this past year that we've had the luxury to focus on COLOURlovers and what it could ultimately be. And as we worked on improving the site and developing our business strategy, we had an epiphany. We realized that we didn't need to create a business model that extracted value from the actions of our members (ie, Color Trending & Market Research)... we could build a business adding value to the actions of our members by continuing to create software and services they wanted and to build a way for them to earn a living doing what they love. We realized our mission.... To make good design simple and to empower creativity. With this vision for the future of COLOURlovers in our hearts and minds we started having conversations with investors who had been successful building their own amazing services and communities. People like the founders of Wordpress, Flickr, Vimeo, Reddit, Groupon & Yahoo!... and VC funds that have invested in the biggest and best sites on the internet. If you'd like to read more about our funding it's been covered here. We're going to use the investment to grow the COLOURlovers team so that we can do a better job maintaining the features we have as well as building and launching new awesome things we have sketched out. The most important thing about having the money is helping us make better long term decisions for the good of our community. Before our funding, we spent a considerable amount of time just making sure were doing things to make enough money to keep our servers online. (And in the earlier days there were times where we were late on bills and both my business and personal accounts were overdrawn) Stressing about short term resources isn't helpful in building long term visions. If you haven't noticed yet, we updated the COLOURlovers About Us page with our two new family members: Molly & Brian. And we'll be adding more names to that page in the coming months as we hire the rest of the awesome team that will help us execute on our big vision. If you fit any of the open positions we have... it'd be awesome to promote from within!